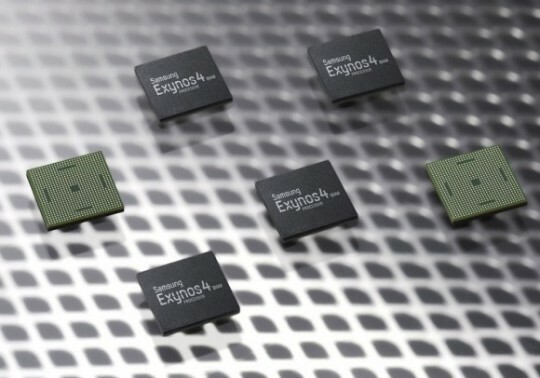 Samsung today took the wraps off an 8-core processor known as the Exynos 5 Octa. The Exynos 5 Octa is an eight-core SoC destined for tablets and high-end smartphones. Not all of these CPU cores are created equal: four of them are high-performance Cortex-A15 cores, the very same found in the Exynos 5 Dual that powers the Nexus 10 and Samsung’s ARM Chromebook. The other four are Cortex-A7 CPU cores—these have the same feature set and capabilities as the A15 cores, but are optimized for power efficiency rather than performance. This makes the Exynos 5 Octa one of the first products to actually use ARM’s big.LITTLE processor switching technology. The SoC is designed to dynamically split the workload between the high-performance and the high-efficiency CPU cores based on the task at hand—less strenuous activities like browsing an app store or checking e-mail might be done on the A7 cores, for instance, while gaming and number crunching could be handed off to the A15 cores. The new SoC will be manufactured using a 28nm process as opposed to the 32nm process used by the Exynos 5 Dual, hence claiming to be more power-efficient. According to Samsung, the SoC can deliver twice the performance of quad-core Exynos CPUs, while using 70 percent less power. What Samsung has not yet revealed is when the first devices running the Exynos 5 Octa will be available on the market, nor at what cost.